At the age of 10, Ivan Kristoff started his first steps in climbing, bouldering and overhanging, in his own family villa, in the city of Velingrad. For the horror of his mother, he climbed and traversed the exterior walls of his stone facade at that age. Ivan Kristoff is a vet in the rope access and aerial rope rescue industry who is currently using his experience of work at height, creativity and know-haw to bring ideas to life in Toronto, Sofia and Dubai. He has unconventional marketing, PR and advertising experience, yet his focus lies in the modern communication methods where creating interactive consumer experience and drives him. Ivan’s portfolio showcases a range of experiential marketing concepts and completed projects for international brands in traditional and digital media. His next mission is to create innovation for the aviation rope rescue industry. Ivan Kristoff is a Bulgaria born Canadian record-breaking explorer & adventurer, keynote speaker, blogger and campaigner. One of the few extreme rope access adventurers in the world with a corporate background, he is an internationally acclaimed expert on aerial/vertical suspended access, volunteer rope rescue team leader, delivering speeches and seminars worldwide. He is also a writer and campaigner on a number of contemporary world issues. Ivan Kristoff is a leading authority on global rope access trends including aerial rope rescue, extreme vertical access and the new concept for Air-to Air rescue. He is a keynote speaker who has headlined events for Dubai Helishow in Dubai, Safety and Security Show in Bulgaria and Property Management and Construction Show in Canada among many others, as well as dozens of industry conferences around the world. His programs focus on business trends, shifting innovative marketing strategies to promote volunteer rescue organizations and rope access projects. Ivan is a passionate and dynamic speaker who focuses on delivering valuable content and highly practical strategies people can implement immediately and see actual results quickly. His programs consistently get strong reviews and leave attendees burning to put their new ideas and strategies to work. Ivan’s expertise encompasses modern business trends, marketing and communication strategies. 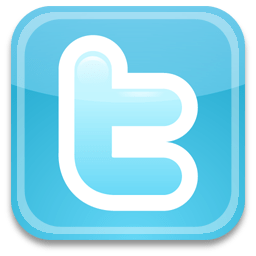 The intersection of these three explain the focus his projects have on small business marketing and social media, but today’s mega trends directly impact communication channels for large corporations and governments as well. Born in Sofia, Bulgaria, Ivan has studied IT Communications at the University of Toronto, Canada. Ivan Kristoff is a trend setter, aviator, volunteer rescuer, and rope access expert in vertical and aerial operations. He has developed various solutions to improve the safety of vertical and aerial rope manoeuvres. His work in vertical and remote access in extreme conditions and heights has contributed to the development and improvement of safety standards. 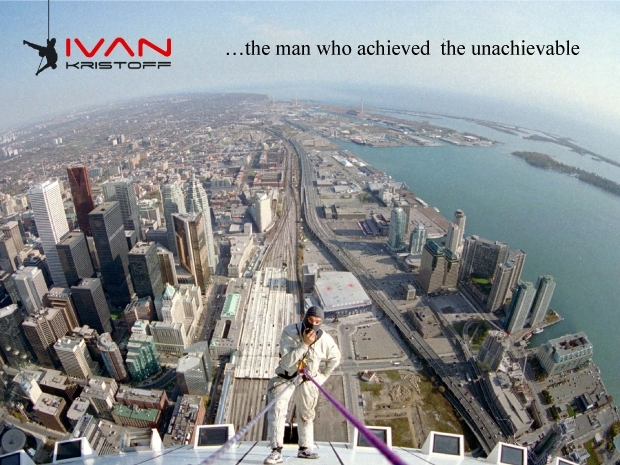 Ivan Kristoff initiated the most comprehensive aerial and high rise rope-work services in Canada. In 1993, he found EIGER Rope Access Work Inc. Five years later, the Toronto newspapers, Canadian TV news and magazines, named him the Canadian Spider-man. Ten years later, he became the first person to step on the unreachable places of the tallest tower in the world. His reputation is built over the years by completing some of the most challenging rope access projects in high-rise environment. One of them is the first exterior repair at 1725? during winter extreme conditions and winds above 60km/h. Currently, he is creating an International Vertical Access Network, called I.V.A.N., which main goal is to share new trends to the high altitude vertical and aerial world. Photographer, cinematographer, producer, creative designer and essayist– the many talents of adventurer Ivan Kristoff are explored in this abundantly illustrated volume, the first to examine the work of world’s famous rope access technician. From his professional work on the exterior walls of skyscrapers, through the tops of the world’s tallest structures, Ivan examines in words and in images the past three years of his remarkable artist’s oeuvre. Although he has been called by the media Canada’s Spiderman, for his unique skills and innovative techniques to scale down buildings during training and High Angle rescue operations, Ivan encompasses a wider range of the vertical environment by going into the field of tactical operations on ropes suspended from helicopters. His evolution as a photographer is marked by several distinct stages. Initially recognized for his outdoor photography of sport’s activities in caves and mountains, he further explored to take aerial shots while flying with a paraglider. As Kristoff’s exterior services on tall building and the tallest antenna masts expanded, his portfolio increased with visual records of his projects as a necessity to allow his clients to see through his eyes the work, during photo and video surveys on the exterior building envelope. Aerial shots from helicopters of his airborne tactical and rescue demonstrations became a signature, best observed in his ropework related special events. to explore new concepts in photography and though the most advanced technology in photo lenses to shape the view of the surrounding elements in his own matrix. Through the use of wide angle lenses, the viewer can observe near 180 degree panoramic scenes. This is why the exhibition in which the artist represented his later work is called “Through the Eye of the Spider”. This collection of photos and essay represent the scope of work in the artistic and professional endeavor of the author in the period of year 202?2005. Widely represented in Bulgarian exhibitions, he has recently exhibited a multi-media presentation of how Ivan organizes his special events. In the City of Varna, he demonstrated to the public Rapid Access Deployment of emergency rescue vehicles in hard to reach places by lifting up his Off?road motorcycle to the roof of the Palace of Culture and Sport. In his Spiderman style, he scaled down with it. Ivan is a visionary artist. His photos illustrate his motus vivendi. They exhibit vividly how Ivan’s love of remote access and aerial photography have resulted in breathtaking pictures involving his ability to go where no man has stepped before. His projects have appeared in Toronto Computes, Computer Player, Quebec Micro, The Athlete, Bulgarian Army, National Post, The Toronto Sun, The Globe and Mail, Town Crier, Mississauga News, Mississauga Business Times, etc. Leading Fortune 500 companies including IBM, Sony Ericsson and Canon have showcased Ivan’s project in their marketing advertisement.His innovative photographs reveal his interest in documenting innovative aerial and technical operations. North America’s established rope access and aerial emergency response expert, Kristoff has achieved new heights in safety and shaped new industry trends in the high rise industry. His photos are taken during some of the most dangerous and complicated aerial and rope access projects in Canada. During this work at height, he developed technically innovative concepts and advanced skills in the use of high-tech equipment and communications. An ongoing dedication to safety has enabled him to be a leader in the use of vertical technology. He is the first person to complete rope access work at the inaccessible areas of the tallest building in the world. This encloses the spiritual aspect of a photographer, determined to reveal his dreams and memories, which make the viewer share his experience. The determination to express in pictures what is impossible to describe with words. Ivan is an aviator who has always loved extreme adventure. After completing some of the most challenging rope access and aerial vertical access projects, he fought his way to promote volunteer rescue initiatives to government agencies and military institutions. Nicknamed as Spiderman by the Canadian and international media in 1995, Ivan Kristoff had many copy cats and followers who were inspired not only by his abilities to free solo climb high-rise buildings, but also to save lives from the exterior of super high-rise buildings and tall structures. For Ivan, it is not just about pushing his limits and crossing boundaries. It’s about living your dreams and accepting new challenges that others have claimed as “Mission Impossible”. His motto “Work smart, not hard! Be brave, so others can be safe!”, and Ivan’s gift to attractively show what he means during risky operations, while hanging on ropes from flying helicopter or some of the tallest structures, have contributed to the safety enhancement of the Ontario safety legislation for rope access and many methodologies for vertical and aerial suspended access. His interesting ways of communication, have led him to become a world class speaker for innovative concepts for the vertical and aerial world of rescue. “I believe in working and giving back to society. Just a few years after I helped the Mayor of Toronto to raise money for the Mount Sinai Hospital, I had my first child born in the same hospital…”, say Ivan Kristoff.